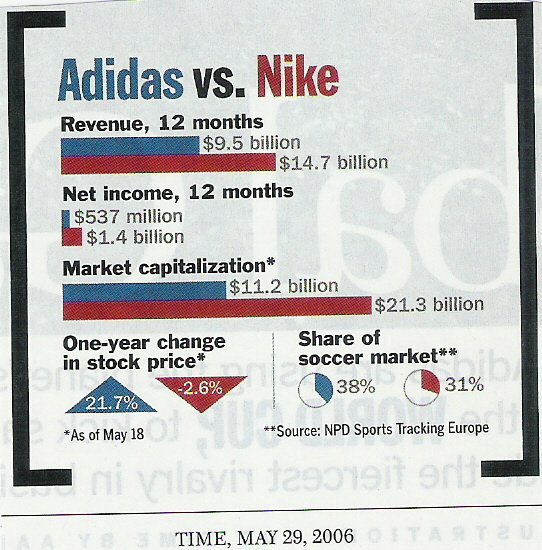 adidas bought over reebok too. and i guess the world cup was a gd chance for them to 'beat' nike. 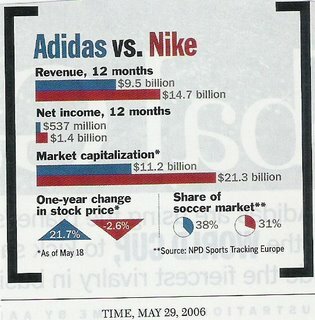 hm.. recently, i think in this yr, adidas did do quite a gd job remarkating its products. altho nike still leads by a mile. one week. come on. let me do it in one week. let me see it in one week. let me get there in one week. i think one of the best thing i ever did in rj was to join canoeing. cause it really taught me "impossible is nothing". of course that is if you're willing to put in hard work. i mean, this 9 months i've done so many things i never thought i could do. yup. n its all bcoz the ppl arnd me inspiring me to do it, telling and showing me that "impossible is nothing". just gotta even out the distribution of the weight. dont over strain one foot, and if one foot hurts shift the weight to the other foot. altho for now, ill stick to short runs.